by Teresa Medeiros | Romance | This book has not been rated. I am donating this book to one of the Little Free Libraries around the city because I will never get it read. I left this book inside the half empty LFL today. I hope it finds a great new home and I'm thrilled to see that the books are on the move! If you've found it Welcome to Bookcrossing! I hope you enjoy it and thanks for making a journal entry. When you are finished reading it please click "new journal entry" again and add any comments you'd like to share. If you decide to keep it that's fine by me, if you decide pass it along, please click "release book" so we can both follow its journey. You can leave it wherever you choose. 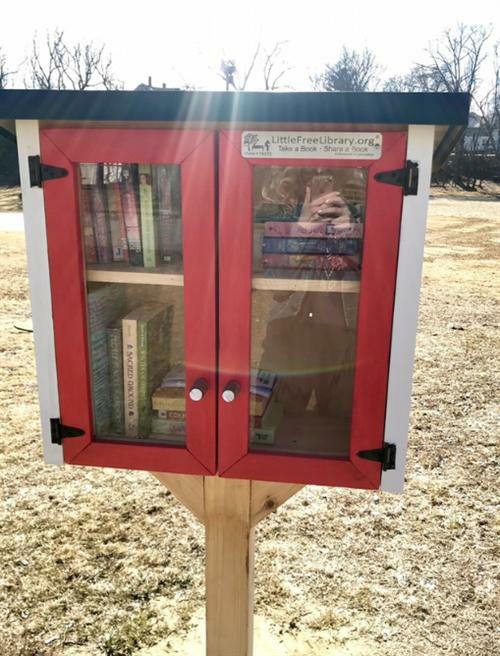 I have decent luck leaving my books on top of drive-by mail boxes (with the flat tops), on benches, in lobbies and at gas pumps but I also pass many on to fellow readers. If you'd like to join bookcrossing I'd be thrilled if you'd use my BC name, BarkLessWagMore, as the referring member. "I suddenly had a little epiphany: all the books we own, both read and unread, are the fullest expression of self we have at our disposal."